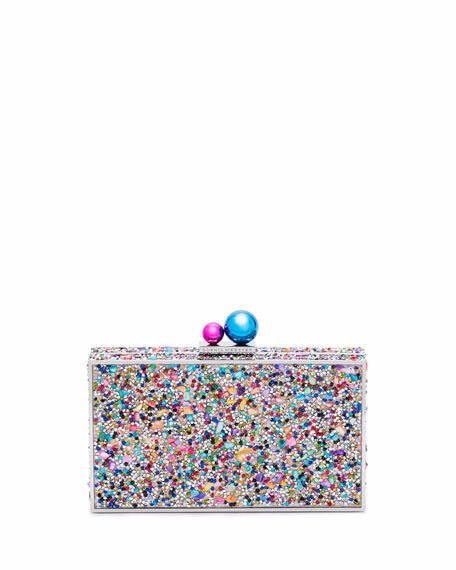 Sophia Webster box clutch bag in crystal-encrusted resin. Approx. 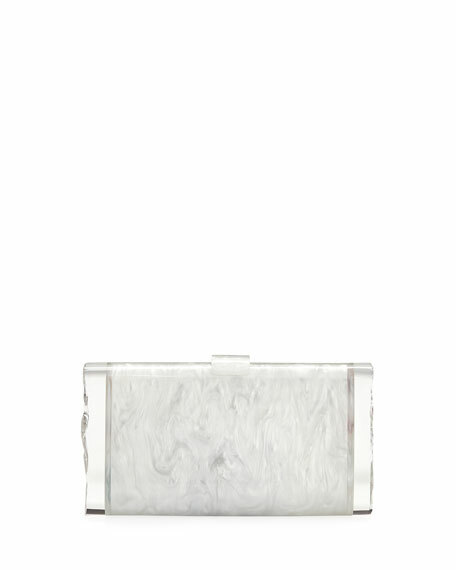 3.4"H x 6.5"W x 1.6"D.
For in-store inquiries, use sku #2596204. 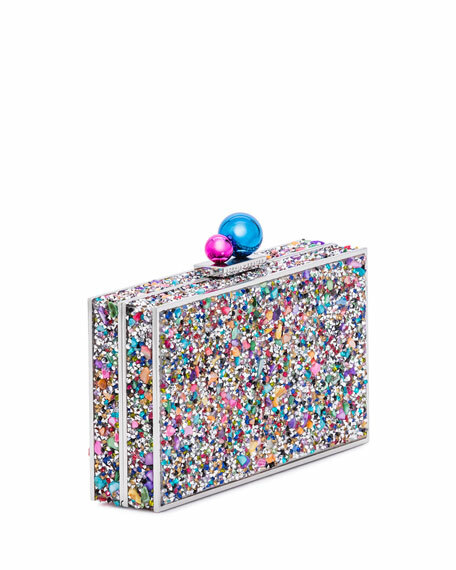 Bari Lynn box bag in double-sided glittered acrylic. "Happy" text at front, rainbow at back. 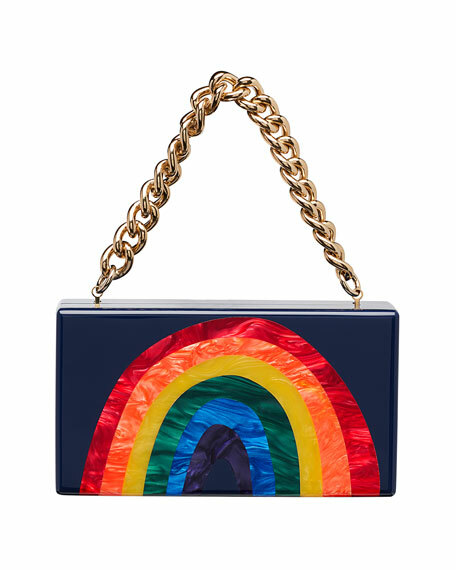 Removable chain shoulder strap tucks inside. Hinged bottom, magnetic closure. Fabric lining. 4.5"H x 7"W x 2"D. Imported. 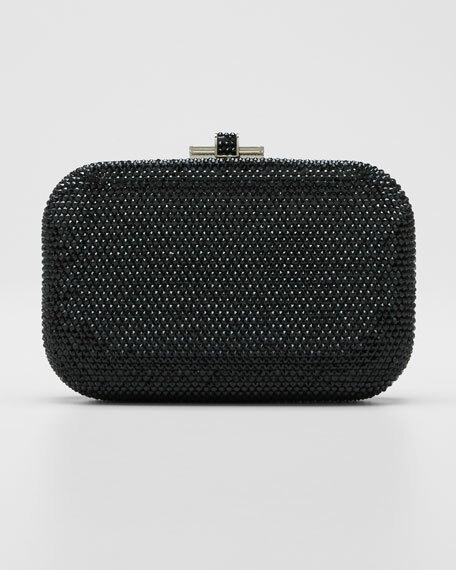 Judith Leiber clutch, fully beaded with Austrian crystals. Framed hard shell case; silvertone hardware. 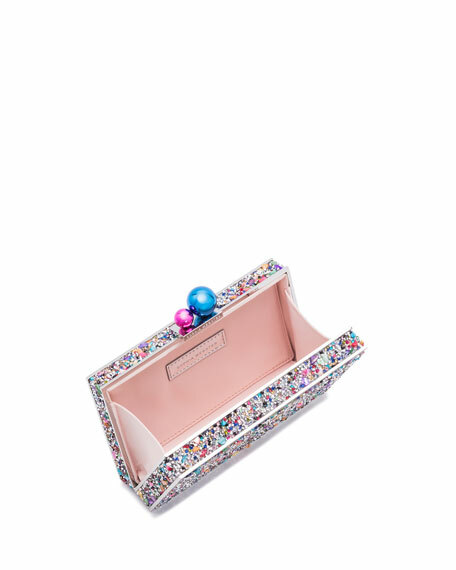 Crystal-embellished slide-lock closure. Removable chain strap; 9" drop. 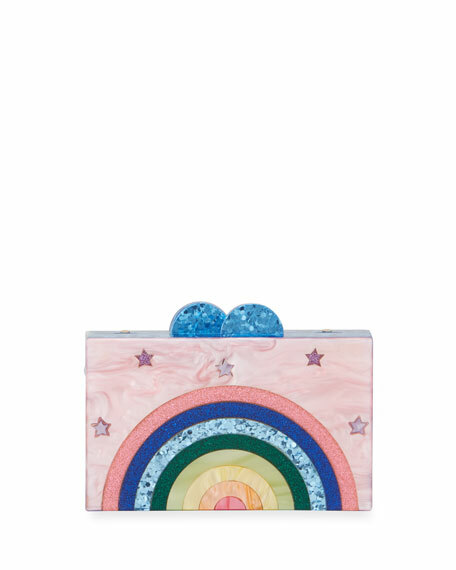 Inside, leather lining and Judith Leiber plaque. 4"H x 6"W x 1 1/2"D; bag weighs 12oz. Imported.